Just like the classic children’s song that carols about how froggy went a-courtin’, this green hopper and his smiling face offers contagious joy. Painted with appealing pale green shades complete with frog spots, this frog is rolled up in merriment at the idea of hosting some feathered friends. Details are worth a closer inspection. The frog’s eyes are made to sparkle and tiny fingers and froggy feet are certainly cute. 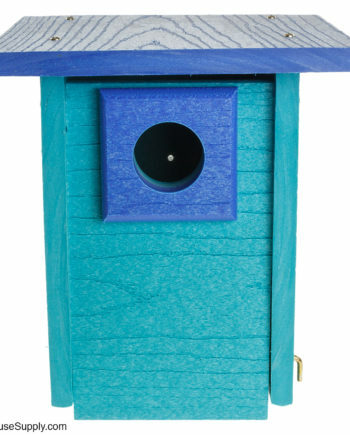 This birdhouse is all function and the roomy interior chamber will keep birds happy and safe as he brood. Made from a sustainable resource, albesia wood, the house will withstand years of use. 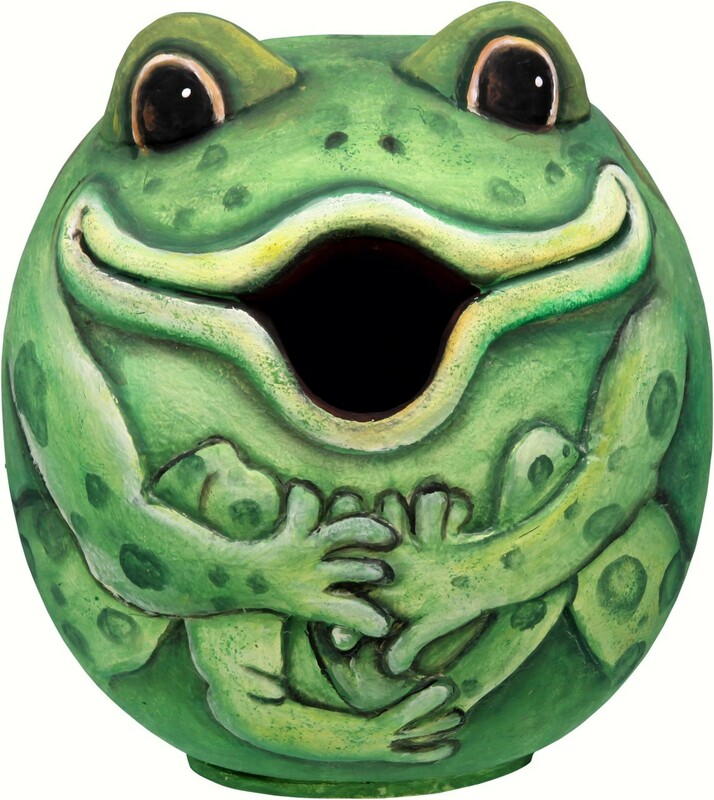 Packed with the metal hanging loop and care instructions this frog nest house will adorn your yard for many years. 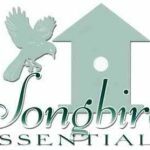 Read about Songbird Essential’s mission to support the environment and encourage conservation! Hole Size: 1.53 in. / 3.89 cm. Width: 5.71 in. / 14.50 cm. Height: 6.41 in. / 16.28 cm. Weight: 9.2 oz. / 0.26 kg.